Tonsil stones are caused by an accumulation of sulfur-producing debris and bacteria that become lodged in the tonsils. A part from expensive medicines, there are many natural and effective home remedies to cure tonsil stones. Do you want to know which home remedy will help you treat of tonsil stones? 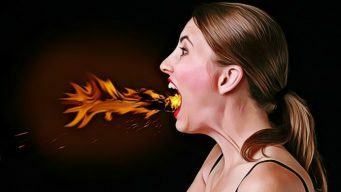 In this article, VKool.com will show you top 37 natural & effective home remedies for tonsil stones. The writing is collected from reliable sources. However, it is not intended to give medical advice and it is solely for the informational purpose. Keep reading this writing to learn more! This is actually one of the most effective home remedies for tonsil stones. This is because water keeps our body hydrated, and then creates an environment that does not get the conditions for the bacteria’s survival. Additionally, drinking water regularly can support the cleaning up of debris as well as other materials. It prevents them from accumulating at the tonsils, causing the occurring of tonsil stones. In fact, tonsils are a vital part of the immunity system and if any foreign object passes through the lymphatic system, it often tends to be stored inside it. You should drink 8-10 cups of water daily. Besides, you should also try to drink at least 1 cup of water first in the morning. Using cotton swabs is a simply home remedy that is done to push off the tonsil from the tonsils’ walls. Before using them, you should make both ends wet in order to make it gentle on your tonsils. To get the best result, you should do this method in front of a mirror. Also, use a flashlight in order to locate the stones. You use wet cotton swabs in order to loosen the stones and remove them from the walls of the tonsils. Once done, you should use salt water or mouthwash to gargle your mouth. This will remove remaining particles as well as other debris. This is also one of the most amazingly useful home remedies for tonsil stones that people can make use at home without meeting any difficulty. A toothbrush can be a great weapon against tonsil stones, but you should be careful not to trigger the gag reflex. You can use an ordinary toothbrush or an electric toothbrush. When using a soft bristle toothbrush, have a flashlight in order to locate the tonsil stones’ position. Using the toothbrush bristles can make pressure on the tonsil until they loosen. You push them off and then get a mouthwash in order to remove the small stones. If you use an electric toothbrush, make pressure on the places where you can locate your stones. Using the backside of your toothbrush, scrub the stones lightly in order to break them up. After you have done, you should use a mouthwash to get rid of the remaining particles. You should be cautious not to scrape at the tissue in the surrounding areas as this will cause a throat sore. You can use your tongue to relax the tonsil stones and clear them out. You push on the tonsils and try to separate them or push them free. The fact that the back of the mouth works hard can help you relax the stones. This exercise may need you to be patient, as the stones are installed in the tonsils’ cleft. More importantly, remember to wash with salt water or clean water to keep the tissues wet and to remove the stones. In fact, this is also among the best and most effective natural home remedies for tonsil stones that we would like to introduce in the article today and want readers to learn and make use for good! When you are trying to remove the stones by using your finger, firstly, you need to wash your hands with sudsy water and rinse them off. Next, you open the mouth and then use your finger to discover the tonsils. Remember not to reach further back with your finger. Next, apply weight and then push up so that the stones pop up. Finally, wash the mouth with salt water. Many women have bobby pins in their bathroom. And you do the same, you can consider using one of them to remove the tonsil stones. The black-colored pins work well as they are flexible and thin, yet firm enough to remove the stones. Remember to wash your pins with soap water before placing them in the mouth. A dirty pin can transfer infectious bacteria into your mouth, causing more serious throat problems. You stroke the stones with slight but steady pressure in one direction. Do not poke it further into the tonsil as if you are having a sore throat, this action can lead to more irritation. Failure to keep a good oral hygiene is one of the main causes for the occurrence of tonsil stones. In the mouth, the bacteria cause the occurrence of tonsil stones from accumulated particles as well as other debris. The bacteria are able to be reduced by frequently brushing your teeth with recommended toothpaste. Besides, you should change toothbrush regularly, scrap the tongue and gargle the mouth with salt water or mouthwash. You use a medicine dropper, pressing the rubber bulb and then carefully put your tip next to the tonsil stone. When it gets in contact, lightly release the rubber bulb and then remove the tonsil stones. After that, gargle with antiseptic mouthwash to clear any debris. Be careful when doing this as you can trigger the gag reflex. Coughing has been considered as an effective way to dislodge tonsil stones. 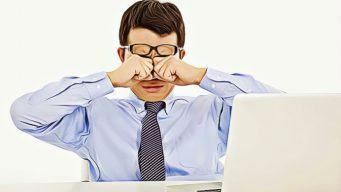 It is a good idea for you to drink warm water first as this will help you reflex the throat’s tissue. Remember to cough when your mouth closed, and then check whether the tonsil stones are still there. On the first attempt, it may not work, so you need to repeat this exercise a couple of times. Mouthwash is a good way to prevent tonsil stones. Once you use mouthwash that contains alcohol in it, it will kill any bacteria growth. You can use products that kill viruses and bacteria, or you can also gargle the mouth with hydrogen peroxide. Ensure to gargle at least once a day to get rid of tonsil stones or to prevent new stones from forming. Lime has been used for long and it is famous for its medicinal properties, so the juice of lime can be used to get rid of the tonsil stones. You simply mix the juice of lime with a cup of water. Also, you can add your favorite flavors. You slowly drink the diluted lime juice so that it may get in touch with the areas the tonsil stones located. This will clean the mouth, remove the bacteria and prevent its occurrence in the future. Honey is an antiseptic material that may help you boost the immune system. Tonsil stones can turn up as a result of an infection in the throat, and treating it with honey can be effective. To use honey for removing tonsil stones, you dissolve honey in a cup of warm water, and then gargle the mouth with this solution a couple of times a day. Compounds containing in the honey will work as an antibiotic, and you can see that the tonsil stones disappear quickly. A good micro- circulation will transfer more oxygen-rich blood to the infected areas, and this may make microbial-based materials including tonsil stones reduce their size, and even clear up. If there is a health food store near your house, it may be a good idea for you to find out f it can provide you with homeopathy treatments. There are a large number of homeopathy treatments that are good for tonsil stones, and these treatments take a couple of factors into account. There is a treatment that can treat many conditions affecting the mouth and throat. It is called Rhus Tox, and it is used to treat blisters and mouth ulcers. Besides, this treatment can improve the throat health and dissolve the tonsil stones. This treatment will also help you ease the pain linked to tonsil stones. Rhus tox will reduce the response of the body to any kind of inflammation, and then you will see that the tonsil stone clear up within days. 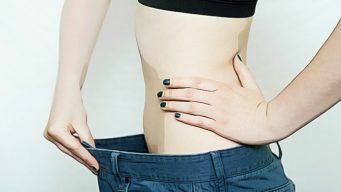 It is really important to know the way on how to take this treatment, Most of the homeopathy treatments should be taken in the morning, and for tonsil stone treatment, you need to take two 30C tablets before you tend to drink or eat anything. Let the tablets be underneath the tongue as soon as you get up. Allow them to dissolve and remember not to eat or drink anything or brush the teeth in one hour. You should avoid drinking coffee, tea, and acid drinks for the next several hours for the better results. Besides, when taking any homeopathy treatments, you do not use mint-based toothpaste or drink peppermint tea. It is because this will break the effect of treatments. It is a garden flower, which is one of the best herbal remedies for the tonsil stones. It is used as a cream, and this tea can support the body to solve with throat infections. You can either use this tea as a gargle or drink it. In case the tonsil stones are situated further down in your throat, this tea may help you effectively. When drinking a herbal tea, it is important to consume it before mealtime. 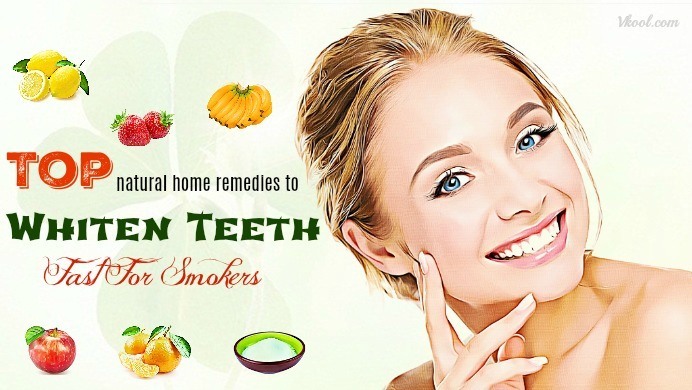  Gargle the mouth with this solution while it is still warm twice a day. You can flush the tonsil stones out with a syringe and salt water. This remedy is so simple. You just need to get a medicine dispenser syringe and then fill it up with lukewarm salt water. Then place this syringe as far into your tonsil stones as possible and then flush them out. Also, you can try other ways to make water pressure. The power of the water is able to flush the tonsil stones out. It is another one of the most effective home remedies for tonsil stones due to its anti-inflammatory and antiviral properties. Also, its soothing and healing properties will help the body reduce pain and swelling and speed up the process of healing.  Strain it and then add lemon juice to this solution. You can optionally add 1 tsp of honey to it.  Drink this solution 3 times daily for 2-3 days. Due to its antiseptic and anti-inflammatory properties, turmeric can help you fight against tonsil stones and ease irritating symptoms.  You add 1 tsp of turmeric powder to a cup of boiling water or salt water. You gargle the mouth with this mixture a couple of times daily, especially before sleeping. It will help the body get rid of the soreness and inflammation.  Alternatively, you add 1 tsp of turmeric powder and ground black pepper to a cup of warm milk. You drink it for 2-3 days to speed up the process of healing. It can be used to treat tonsil stones. Being high in antimicrobial abilities, cinnamon can inhibit the development of bacteria as well as other micro- organisms and help you reduce pain, swelling and inflammation.  When it is still warm, you drink it 203 times daily for 7 days. It contains a gel-like substance that can relieve soreness, pain and inflammation. When taken internally, this material can soothe and heal inflamed tissues, including the throat’s mucus membranes.  You add 1 tsp of the slippery elm’s inner bark to 2 cups of hot water. Let it steep for 5 minutes and strain this solution. While it is warm, drink it slowly twice a day for several days.  Alternatively, you mix 3 tsp of the powder of slippery elm bark, 1 tsp of cayenne pepper powder, 2 tsp of honey and 4 tsp of lukewarm water. You take 1 tsp of this mixture daily for 2-3 days. Fenugreek contains antibacterial abilities that make it become one of the best home remedies for tonsil stones as it can kill off the bacteria. Also, the anti-inflammatory properties contain in fenugreek will help you relieve the pain and inflammation.  Gargle the mouth with this solution for more than 30 seconds. Then, you spit it out.  Do this home remedy twice daily until the tonsil stones clear away. They are effective for removing tonsil stones at home. Due to their high mucilage content, they can relieve soreness and pain caused by tonsil stones.  You boil 3 dried figs in water and then mash them. Eat it with 1 tbsp of honey 2-3 times daily for several days.  Alternatively, you boil and then mash some of the figs. Mash them in the water that you have used to boil them.  Apply this paste on your infected areas. Allow it to dry and then wash it off with lukewarm water. Repeat this remedy once daily to ease pain from tonsil stones. Their nutritional value is helpful in treating tonsil stones. The seeds are high in antioxidants, minerals, and vitamins that help you improve the immune system in order to fight the infection.  You add turmeric powder and then stir it for a couple of seconds. Then, you add 1 cup of warm milk and then mix it well.  You remove it from the heat.  Drink the solution when it is still warm. Enjoy it twice a day for 2-3 days. Aloe vera juice is often sold over the counter in supermarkets and pharmacies. Some studies show that this juice can help you remove tonsil stones by cleansing the mouth of bacteria that cause stones.  You take 1 tsp of aloe vera juice in the mouth, and then swirl it around the tonsil stones.  Let it stay in your mouth for a couple of minutes 2-3 times daily.  Gargle the mouth with water. Swirl it and then spit it out. You can try gargling the mouth with extra virgin olive oil in order to remove your current tonsil stones and reduce the risk of new tonsil stones forming. Consider gargling a couple of times each day with a tsp of olive oil. After that, you gargle the mouth with water to remove the viscous residue. The logic behind this home remedy is that olive oil has anti-inflammatory properties, it can help you reduce the pain and swelling of tonsil stones and thus reducing the stones forming. However, it is not clear whether olive oil works when applied directly onto the stones. As you know, garlic has a lot benefits for health care. Simply, you can chew on garlic to remove stones naturally and effectively. You should chew on garlic a few times each day. In addition, the garlic will help fight any bacteria that might be contributing to the solidification of the materials in your tonsils. Lemon juice is one of natural home remedies for tonsil stones. Lemon juice contains a lot vitamin C which will help to remove your tonsil stones effectively. To use lemon juice for treating tonsil stones, you can mix several tablespoons of lemon juice with a cup of warm water. You can add a little bit of salt to the lemon water and drink. As you know, essential oils contain anti-inflammatory and anti-bacterial properties that are beneficial for curing tonsil stones. 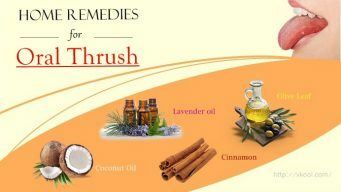 Some of these essential oils you should consider using include theives oil, lemongrass and myrrh. To see good results, you should add a few drops of the essential oil on your toothbrush each day as you brush your teeth and tongue. 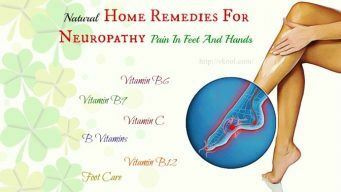 You could also get these essential oils in a spray bottle and then apply it by spraying it on the affected area. You should eat organic, unsweetened to remove tonsil stones. Yogurt contains probiotic which is friendly bacteria your body. Therefore, it will help remove tonsil stones and keep them from coming back. Eating probiotic yogurt will help clean out the bacteria and other materials in your tonsils responsible for the development of this problem. One of natural home remedies for treating tonsil stones is using apple cider vinegar. This vinegar contains acid that will help remove tonsil stones. You should remember to use apple cider vinegar or white vinegar. Make sure you dilute the vinegar with a small amount of water first before you begin gargling. As you see, carrots are great for the eyes due to their beta-carotene content. Besides, carrot is an effective home remedy for tonsil stones. Chewing carrots can help remove stones by destroying bacteria. Eating raw onions will help improve your oral health, prevent oral infections and get rid of bacteria because of their potent anti-bacteria properties. You should chew on raw onions for two to three minutes daily to help remove and prevent tonsil stones. In addition, onions can help get rid of bad breath, which is a common symptom of tonsil stones. Eating vegetables are an effective way to getting rid of tonsil stones. Their tough surface can scrape away at tonsil stones, loosen them from their nooks, and get them out of your mouth altogether. You should try eating more carrots, celery and radishes to remove your tonsil stone problem. Nasal rinse is a good way to remove tonsil stones naturally and effectively. You can do it as below. Simply, you can mix 1 cup of warm water with 1 teaspoon of salt. Afterwards, you stir until the salt dissolves. Get a syringe or dropper full of the salt water. Lean over the sink and release the salt water into one nostril. Let it drain. You should repeat nightly to clear out mucus and prevent tonsil stones. Grapefruit is a good source of a variety of nutrients including vitamin C, pectin, fiber and potassium. These nutrients work together to protect the body from cellular damage and to prevent buildup of calcium in the arteries as well as the tonsils. This extract also serves as an antioxidant. Peppermint oil assists in treatment of tonsil stones in several ways. The active ingredients in peppermint promote digestion as well as circulation, preventing the buildup of materials in the body. Peppermint is also an antibacterial agent that eliminates any underlying infection associated with the condition. Salt water is a natural way to eliminate buildup in the tonsils. Gargling with salt water helps slough mucous cells and bacteria from the oral cavity. The salt also helps eliminate and prevent infection. 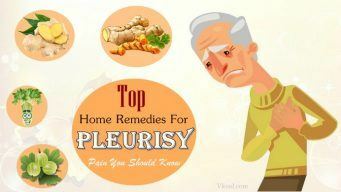 To get more information about effective home remedies for health problems, go to our main Home Remedies page. These were some of natural and effective home remedies that you can use to get rid of your tonsil stones. After reading the writing of 37 home remedies for tonsil stones, hope that this writing helps you find out the best solution to cure tonsil stones effectively. However, the writing is solely for the informational purpose, so you need to get advice from your doctor before applying any natural home remedy. If you have any question, or you know other natural home remedies for tonsil stones, please leave them below.